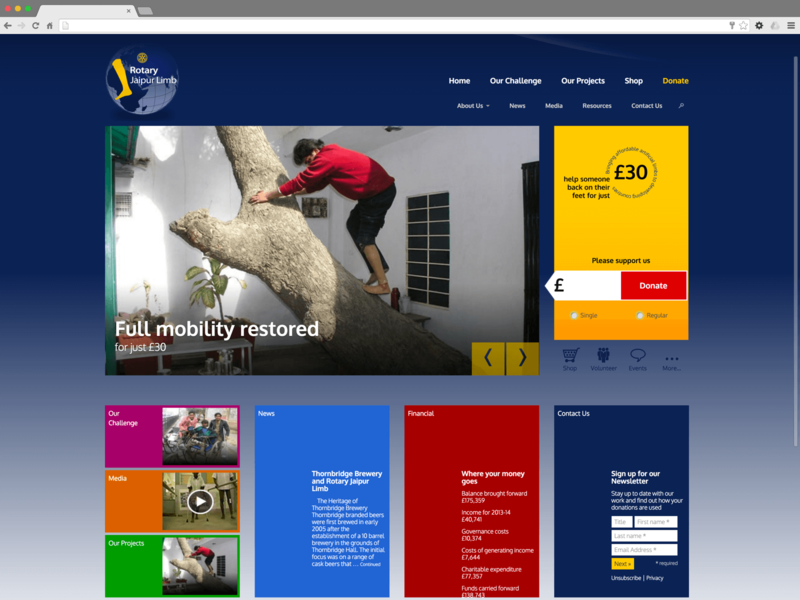 The Rotary Jaipur Limb charity required a website to help them raise awareness of their work, and increase income from donations. I created a new website and revised branding for them, and built their new site on WordPress as a cost-effective open-source solution. The website is based on a bespoke WordPress theme, and is fully responsive and mobile-friendly. The site includes an online donation facility which has been successful in increasing donations for the RJL. The site also offers multilingual support to reflect the wide geographic area in which the charity works.